That being explained, let’s stop beating around the bush and get to business. First encountered by Van and Fiona in the episode “Sleeper Trap,” Moonbay serves as the mother figure of their group during the first half of the season. In this way she is a little like Star Wars Rebels’ Hera Syndulla. But where Hera is relaxed and laid back, Moonbay is feisty, fiery, and more than willing to tell off her hotheaded young charge, Van Flyheight. Sharp-tongued and flirty, Moonbay has a good head for business and brooks no nonsense she herself does not commit. Though she can strike viewers as a bit greedy in her business dealings, the reality is that Moonbay is not a mercenary. Because she loves to travel and wants to preserve her independence, she needs to acquire a respectable influx of cash whenever she can get it. After all, it isn’t easy maintaining a zoid or buying supplies that will last over the course of long distance trips. This is especially true after she hooks up with Van, Fiona, and Irvine, whom you can read about here, here, and here. 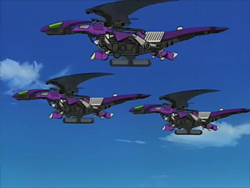 Once she joins their party, Moonbay has three other mouths to feed and two extra zoids to maintain. Since the distances between villages and cities are rather long, that means more food has to be bought so the gang doesn’t run out of chow in the middle of nowhere. 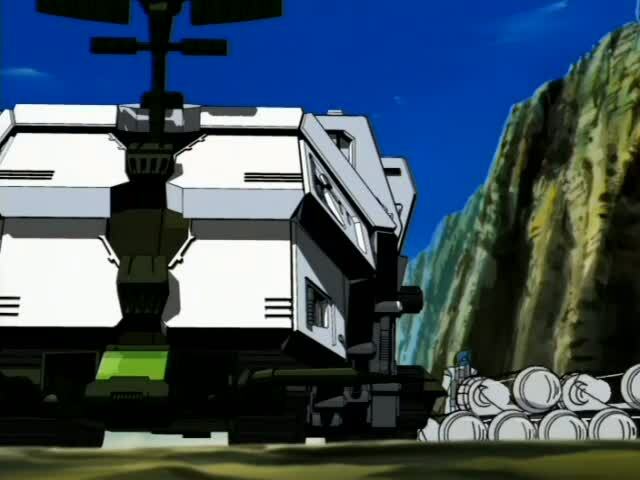 The episode “Moonbay’s Waltz” demonstrates clearly that Moonbay is not the mercenary she first appears to be. In the course of this episode, Moonbay runs into an old sweetheart, a millionaire known only as McMan. McMan reveals he previously asked Moonbay to marry him, inviting her to a ball to introduce her to his family, but she never showed. Moonbay eventually admits that she ran away because she believed they were so different that a marriage between them would not work. Thus one can see that the reason Moonbay is always looking for a big score isn’t because she loves money. She could have had more than enough if she had married McMan. The reason she is always bargaining for extra cash or, sometimes, swindling money from someone is so that she can support her footloose lifestyle. Being a carefree “transporter of the wasteland” is what she wants to do, and she will do whatever she must to ensure that she can keep going in this profession. Now that I think about it, she and Lando Calrissian would probably get along very well, not to mention have bucket loads of fun together. In terms of fighting skill, Moonbay is actually pretty good at hand-to-hand combat. She does not do it often and, in a straight up physical competition, she would lose to a man in a few seconds. But when push comes to shove, she can and will fight. 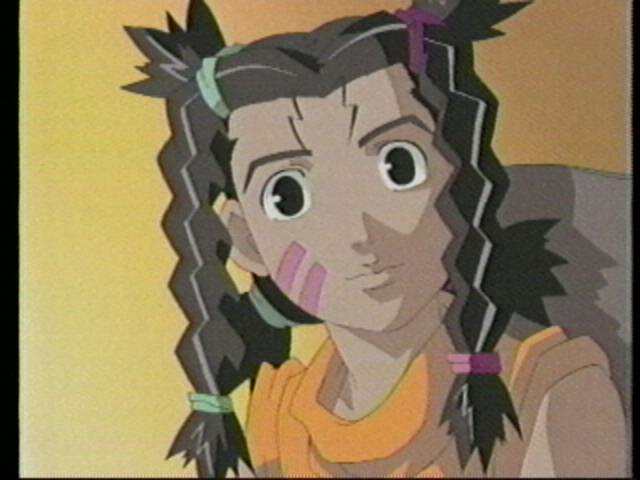 In the episode “Jump! Zeke!”, she took a Republican soldier by surprise, disarmed him, and held his arms pinned to his sides. Since he was about a head and a half to two heads taller than she was, not to mention broader, it is unlikely that Moonbay could have kept him prisoner for very long. But as she proved in the next scene, she only had to hold him for a few seconds. What she lacks in terms of physical fighting power Moonbay more than makes up for in her wits. Keeping the soldier’s arms pinned to his sides, she managed to broker a deal to help the Republican Army defeat an incursion attempt by the Imperial Army in the following installment, “The Battle of Red River.” The deal paid well at the same time it got her, Van, Fiona, and Irvine out of trouble for blowing up a Republican sleeper trap. Using her business sense, wits, and the element of surprise, Moonbay hauled the entire gang out of a nasty bit of legal trouble. These particular skills extend to her piloting abilities as well. 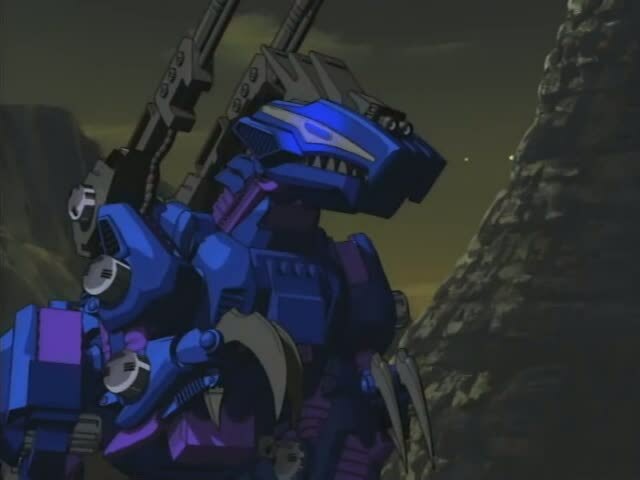 Moonbay’s primary zoid throughout the series is her fuschia Gustav which, though it has thick armor, is not much of a fighter. Moonbay was only able to install one set of twin cannons beneath an armor joint between two of the shell’s plates. 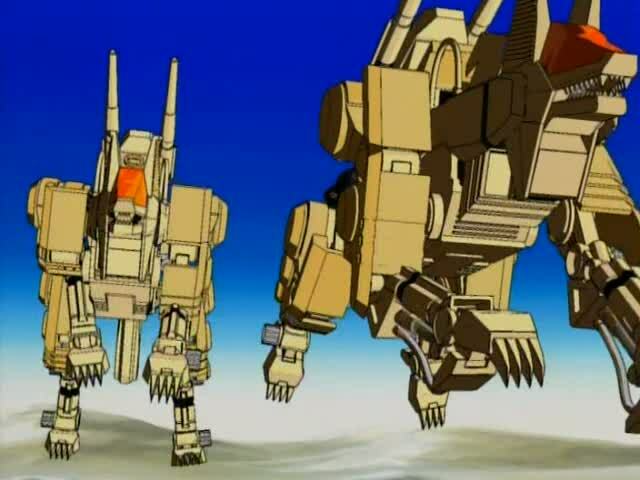 Though Irvine once told her she should install more weapons on it, Moonbay pointed out that the zoid would be too heavy to travel if she did that. So she sacrificed greater firepower for mobility. As she proved, however, the Gustav can do plenty of damage when no one sees it coming. 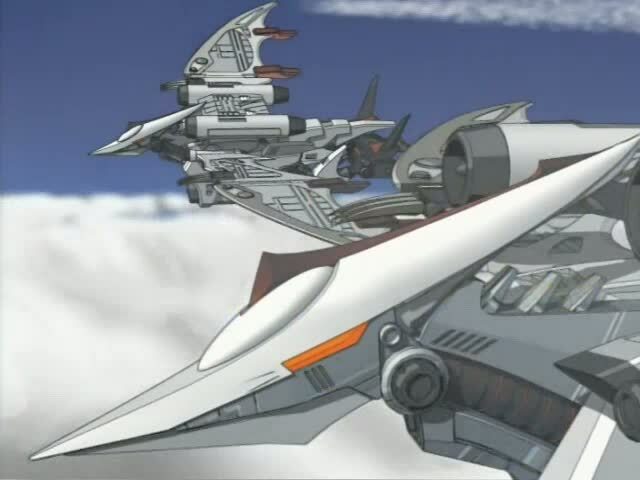 Using the zoid’s thick armor and hidden cannons, Moonbay could achieve a variety of attacks in combat. 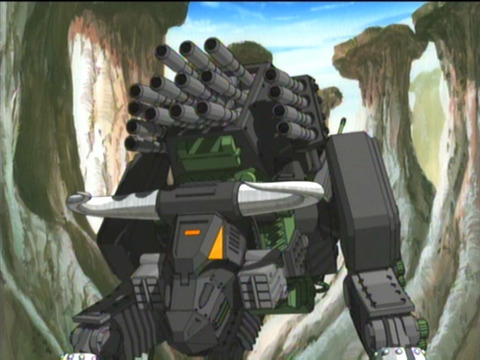 These ranged from bowling over two-legged opponents to firing two precise and incapacitating shots into an enemy zoid, disabling it at once. There were other occasions when Moonbay used the Gustav as a shield to protect herself and others from deadly explosions or shots as well. Moonbay also became an excellent Pteras pilot. 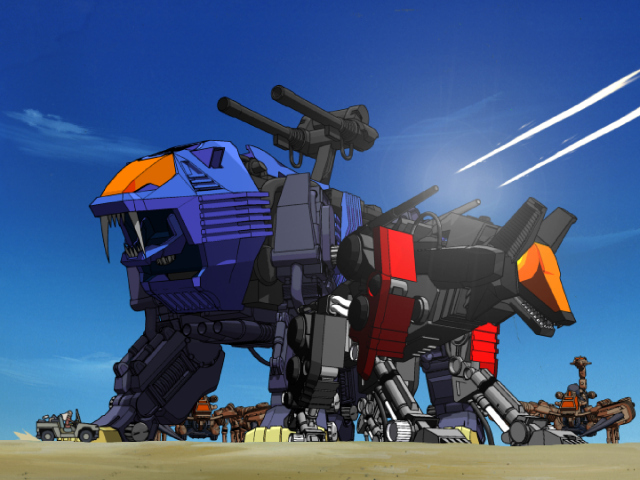 (More on that zoid next year – I promise!) She literally learned that skill on the fly, but proved to be a quick enough study that she and her passengers survived the experience. Due to her transporter skills, she also mastered the enormous Ultrasaurus later on in the series. 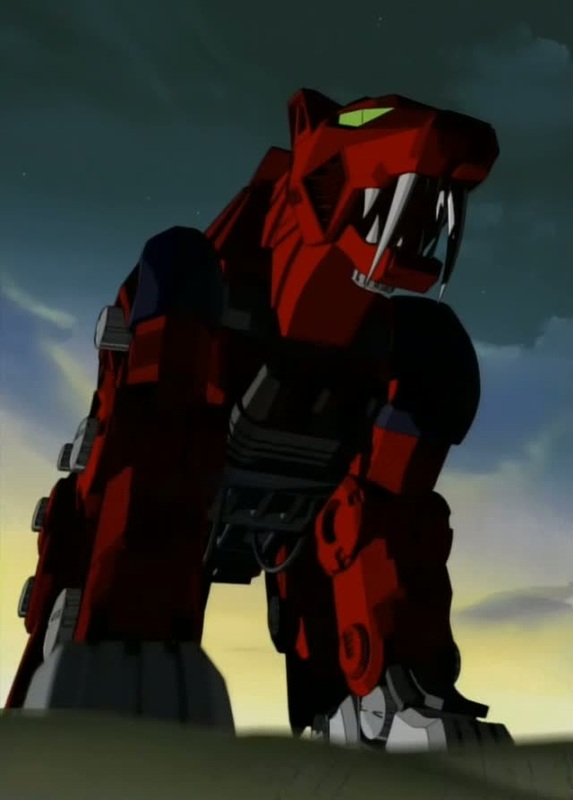 A huge zoid that was basically a walking city/military base, once she was in the cockpit Moonbay grabbed the controls and didn’t let go. Despite constant reminders, she loudly and publicly proclaimed the zoid was “her” Ultrasaurus. Since she was the one piloting it ninety-nine point nine percent of the time, no one could really argue with her on that one. Moonbay in her “Legendary Fireball” attire. Though it was only revealed in the standalone episode “Phantom,” Moonbay also had a “need for speed.” She was once a champion racer known as the Legendary Fireball. Eventually, she quit the racing circuit for some unknown reason, only to return to the track briefly in “Phantom.” Due to a mistake during the race she lost the competition and, as far as I know, that was the last time she raced. When it comes to relationships, in the first half of Chaotic Century Moonbay is definitely the mother figure for the younger members of the gang. This is most apparent in her relationship with Van; as noted previously, she will happily tell him off when he misbehaves or does something foolish. Occasionally she adds force to her lessons, punching, elbowing, or shoving Van around to get her point across. The reason for this is because she is trying to drive home the point that he has to “look after [him]self,” as there will come a time when no one else can or will take care of him. This may have been shown best when she interposed her Gustav between Van’s downed Blade Liger and Raven’s resurrected Geno Saurer. 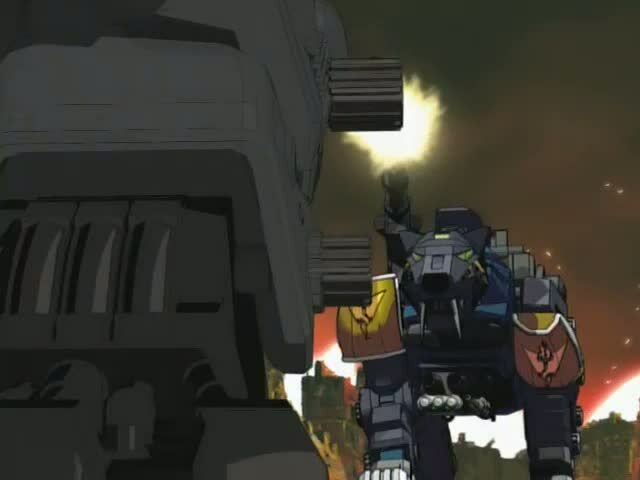 Despite the fact that this resulted in a grave wound for her zoid, Moonbay didn’t regret the sacrifice when Van apologized in the next episode. While her reassurances didn’t alleviate his guilt, the fact that Moonbay blew off the severe damage showed she considered it a small price to pay for protecting him. Her relationship with Fiona was less motherly and more sisterly. During the first half of the series the younger girl’s naïveté meant that she had to be watched over and protected more than a normal girl her age. When not “flying RIO” with Van in combat she remained with Moonbay, who took her under her wing. Slowly, through her time spent with the older girl, Fiona became assertive, gaining a decisiveness she had not demonstrated beforehand. Although she never became as feisty or fierce as Moonbay, the older woman did help instill in Fiona a strength of will that aided her later in life. 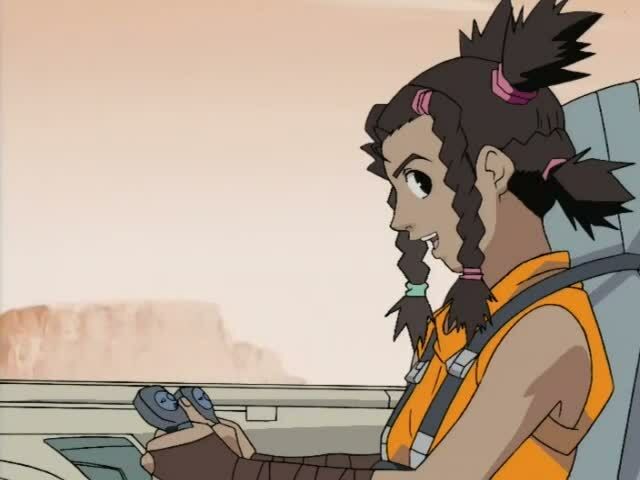 Moonbay also helped the girl relearn her way around zoids. 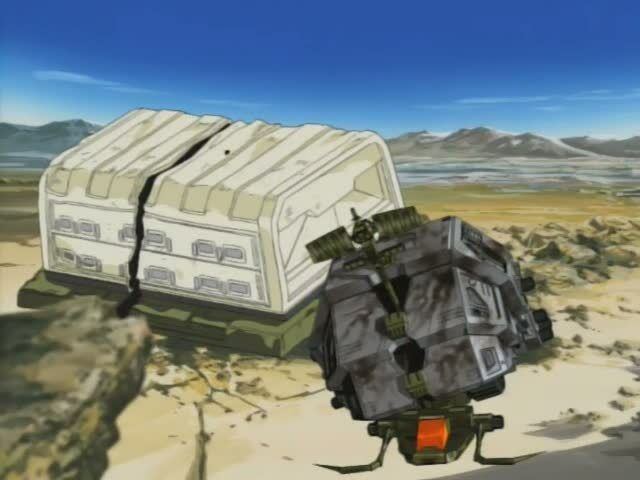 As the go-to mechanic in the gang, both Van and Irvine relied on Moonbay to keep their zoids healthy. 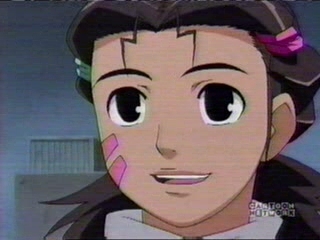 This was due not only to the fact that she was a good engineer, but because she knew a technique that would help zoids to “self-recover” faster than normal. Fiona often helped her on these occasions, giving her the opportunity to become Van’s personal mechanic later on. This skill also allowed her to aid scientists in upgrading his Blade Liger when she was older, which impressed Moonbay a great deal. Another area in which the two were connected was in the way they worried over their men. As Fiona grew, she worried about Van more frequently because he began facing stronger and more deadly opponents. Knowing worry was useless, despite the fact that she often engaged in it herself, Moonbay did her best to support Fiona and help her relax before every big battle. The two were really close, shown by the fact that the only one Moonbay worried about more than Van was Fiona. If the younger girl was kidnapped or put in danger, Moonbay was instantly on the alert. Though she wasn’t much of a physical fighter, she would do her best to go after and rescue Fiona, no matter the danger to herself. Finally, with regard to Irvine, Moonbay sincerely respected and liked the mercenary. Throughout the series they flirted with and teased each other; their behavior was so natural that sometimes a viewer could almost swear they were married. Being somewhat older than Irvine, she had more experience in certain matters than he did – namely the management of funds and the foresight necessary to finance a group that included herself, two growing kids, and one eighteen year old man who was used to living and fighting on his own. Where Irvine acted as the voice of combat experience during the first half of the series, Moonbay maintained the group’s social order and discipline. She made sure everyone ate on time, slept on time, and kept a tight rein on the way money was spent. This meant that the two rarely argued or interfered with the other’s role in managing the kids, especially Van. When Irvine told Van off for wallowing in self-pity or blaming everyone except himself for a mistake, Moonbay held her peace and let him do it, recognizing he was more effective in this area than she was. But when it came time to let the boy alone to think things through or to tell him the hard truth about how the world worked, then the mercenary would let Moonbay do the talking since she was the one who had more experience in such matters than he did. None of this is to say that their relationship was without its rough patches. Irvine had to repeatedly tell Moonbay to jettison her cargo of Imperial ammunition in “Sleeper Trap,” since her pride in never failing to deliver goods to an employer was putting them all at risk. In turn, she had to verbally slap him upside the head after his Command Wolf was wrecked by Raven later on in the series. These instances of violent disagreement were rare and brief. Moonbay and Irvine made a good pair, shown by the fact that together they “raised” Van and Fiona right. To be perfectly honest, I’ve always suspected that they married after the series ended; they clearly cared about one another a great deal. During battles where Irvine was thrown around or injured, Moonbay often shouted his name, the way that Fiona would cry out if Van was injured. And while the mercenary often stated that Moonbay could “take care of herself” and was “pretty good in dangerous situations,” he didn’t appreciate it when she was threatened. A future romantic relationship between the two is conjecture on my part, though, since the series leaves their relationship openended from start to finish. But while the writers may not have intended for them to be more than friends, I prefer to think Moonbay and Irvine became a couple at some point. She certainly couldn’t get away with saying she and he were “too different” to make a good match – not after everything they had been through together! The more I write about these characters, the less I am able to think of actors, actresses, and directors who could ably bring them to the silver screen. It’s more than likely that an attempt to put them in a live action film would fail completely. They’re perfect the way they are. If a competent, respectful group of creators could be found to make a solid, beautiful film (series) out of the show, then I might be more hopeful. But as things stand I am much happier to have the anime than a film (series). This entry was posted in Spotlight! and tagged Blade Liger, children's animated tv shows, Fiona, Fiona Elis Linnet, Genosaurer, Gustav, Hera Syndulla, Irvine, Japan, Japanese Anime, Japanese cartoons, Japanese TV Series, Japanese TV Shows, Lando Calrissian, Moonbay, Spotlight!, Star Wars, Star Wars Rebels, The Blade Liger, The Genosaurer, TV series, TV Shows, Van Flyheight, Zoids, Zoids: Chaotic Century, Zoids: Chaotic Century - Discovery on November 23, 2018 by The Mithril Guardian. Last year I promised that I would begin doing Spotlight! 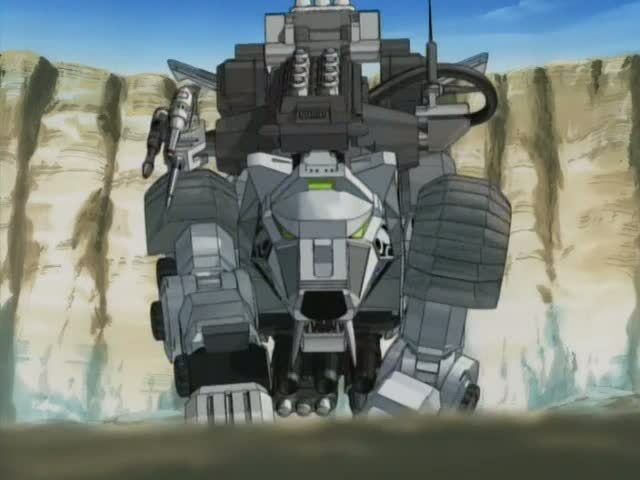 posts about the characters from my favorite Zoids series, along with articles about the “mechanical combat units” themselves. 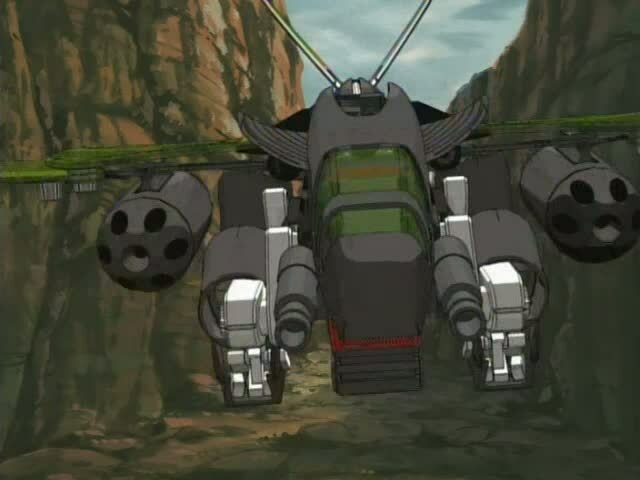 Today, I am making good on that promise; here we will discuss the hero of Zoids: Chaotic Century – Van Flyheight. Van is fourteen at the start of the TV series (the translators in Canada mistakenly have another character in the show say he is seventeen). 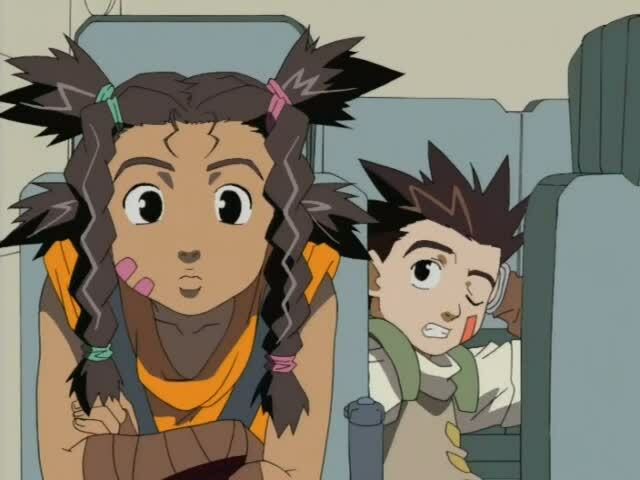 Raised in the farming town of Wind Colony, Van’s father died five years before the series begins. Imperial soldiers came to the Republican colony when Major Dan Flyheight and a group of Republican soldiers were nearby. 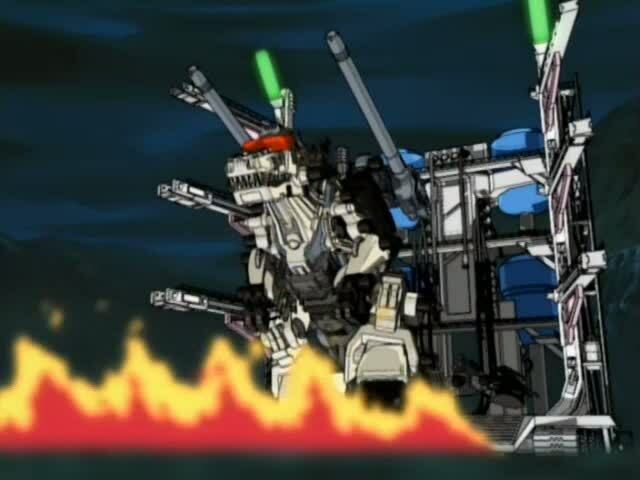 The commander of the Imperial division threatened to burn the village to the ground, but Dan Flyheight and his white Command Wolf, Zeke, took the entire unit down single-handedly. 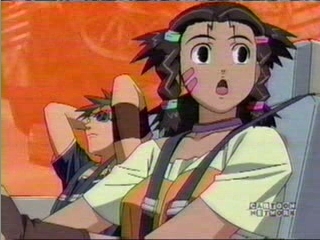 So at the beginning of the show, Van is being raised by his older sister, Maria, in the Wind Colony. Every chance he gets, he sneaks away from her to explore the ruins of nearby military bases. Judging by their appearance, these bases long predate the current war in the show. Van does this to seek adventure and scrounge for scraps of salvage, despite his sister’s constant warnings that this is dangerous – not to mention her insistence that he do his chores. But come on, what fourteen year old boy who wants to be the greatest zoid pilot ever is going to listen when his big sister tells him to do boring chores? 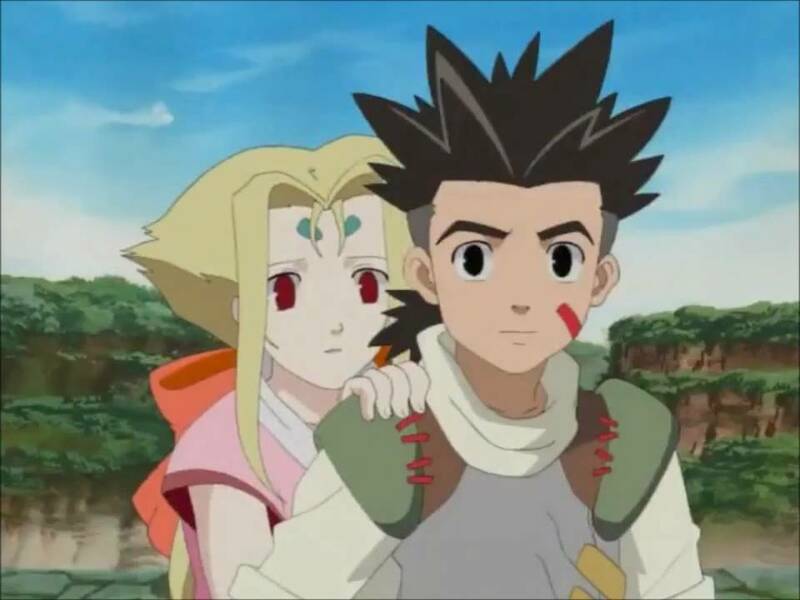 As the village priest tells her, “You can’t stop the boy from wanting to find a zoid of his own.” And that means she cannot stop him from running off to the desert. Open, energetic, and easily excited (or offended), Van once again escapes his sister to go exploring in the first episode of Chaotic Century: “The Boy From Planet Zi”. But he gets more than he bargained for when a bandit named Bole begins chasing him in a newly acquired blue Guysack (scorpion-type Republican zoid – more on that another day). Van escapes Bole by the skin of his teeth, hiding in the ruins. Then Bole’s compatriots/babysitters, Bianco and Nero, come to dig their young charge out of the rubble. Before they do that, they shoot at the ruins to trap Van inside so he cannot go running off to tell the villagers he saw them. That would bring the Republican Army down on the Desert Alca Valino Gang, and none of them want official trouble. Inside the ruins, Van notices a heretofore hidden door which is now askew. He goes down the path to find a secret room with two green stasis pods inside. Accidentally opening the first, he encounters and befriends Zeke. More information about their first meeting can be found here and here, readers, if you want to start watching the series. Even all these years later, I absolutely love this show, and Van is a big reason why. Despite the fact that he starts out reckless, hotheaded, and callow, Van quickly wins a viewer’s affection with his willingness to pick himself up and dust himself off. His kind, selfless nature make up for his naïveté and impulsive behavior. Over time he matures into a stronger boy, eventually becoming a great young man you still want to cheer on. 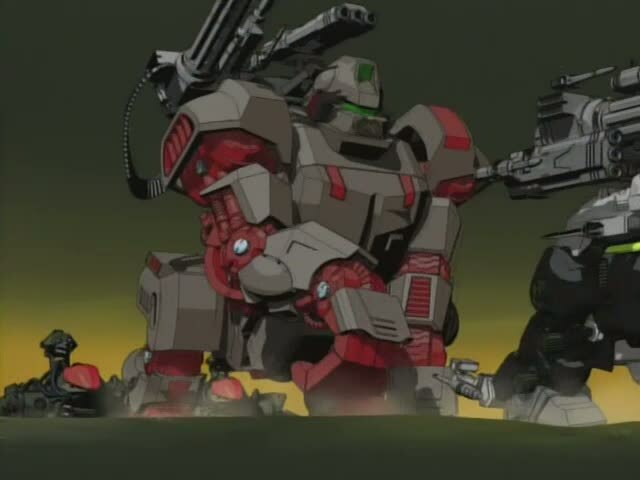 While it seems like mere luck that Van lives long enough to become the “greatest zoid pilot ever,” there is actually a lot of raw talent backing him up. Van has the potential to be a great pilot right from the start; he is perceptive, inventive, and quick-thinking. All he needs to learn at the beginning of his career as a pilot is how to put that together with his fighting skills instead of charging blindly into a battle. 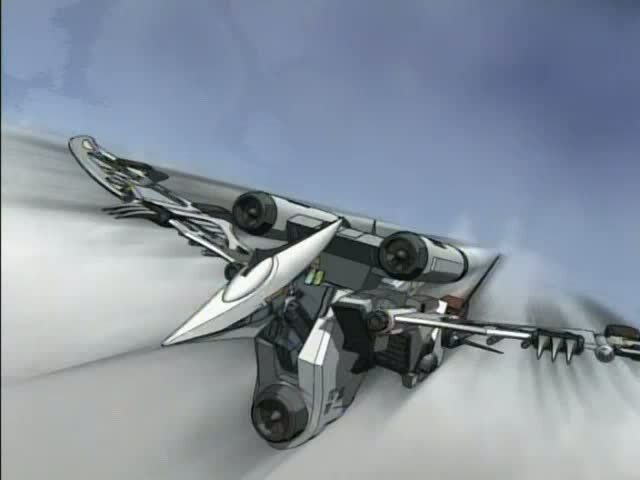 It must be said that no one viewing the show would love zoids very well without Van Flyheight. 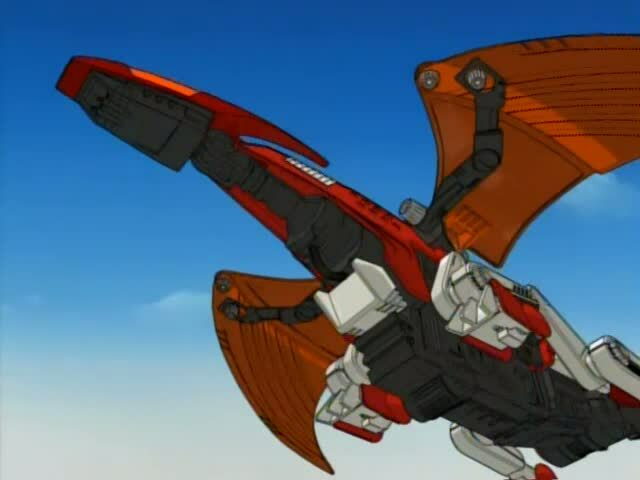 A boy “with a strong fascination with zoids,” Van loves the mechanical animals almost as much as he loves those who are related to him or who are his friends. 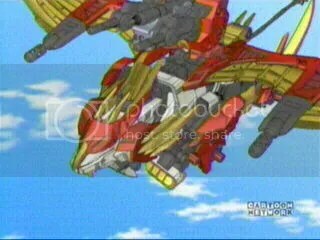 The entire reason he and Raven, his archnemesis through most of the show’s run, begin their feud is because the latter takes pleasure in brutally destroying zoids. And when I say brutal, readers, I mean brutal. Van rightly calls Raven’s attacks evil, but we would not really notice how evil they were if not for our hero’s instinctive reaction to Raven’s fighting style. This brings another characteristic of his to light; much like Captain America/Steve Rogers, Van has a heightened sense of right and wrong. He may not be able to explain how he knows the difference between good and evil on occasion, but when he sees some wrong being committed – no matter how small it may be – he instantly recognizes it and acts to correct the transgression. Of course, some will ask how I can say this, given Van’s penchant for sneaking away from his sister and disobeying her. First, it is important to remember that I did not say Van was a saint. I said he was good – about as good as Captain America, though he may be a few bars lower on the scale. Besides, avoiding chores does not make anyone a criminal-in-training; it certainly seems that Van was obedient most of the time. And who knows where we would be if he had not snuck out to play in the desert every once in a while? Zi would be worse off if he had stayed home, I can assure you! This exemplary standard of goodness in Van has a profound effect on those he meets. They are impressed, either immediately or over time, by his innate goodness, his determination, and his no-quit attitude. We see this most in the first adult friends he makes outside Wind Colony: Irvine and Moonbay. 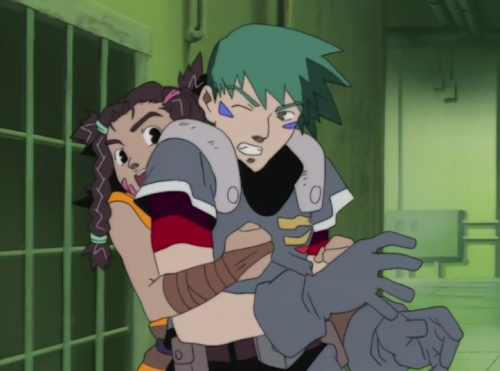 Irvine and Van meet in the episode “Memory.” A wandering mercenary who fights or “protects” for money, he is in the area when Van and Fiona get lost in a sandstorm. On the hunt for an organoid to increase his power and strength, Irvine decides to try and steal Zeke from Van. You would think this would make them enemies and, for a while, they certainly are not friends. But Irvine is not yet so far down the Dark Path that he is immune to Van’s inborn decency. Before you know it, he is traveling along with Van, Zeke, Fiona, and Moonbay. Though he says several times he is just waiting to find an opportunity to steal Zeke, it quickly becomes apparent this is no truer than Han’s statement in A New Hope when he says he is only interested in the money. Van’s goodness awakens and enhances Irvine’s, bringing it to the fore and making him a better person. The two eventually become brothers – not just in the sense of being fellow pilots of high skill, but in the fact that they watch out for, care about, and protect each other. In reality, Moonbay is not much of a mercenary. She just loves traveling, which means that she needs enough money to support herself – not to mention the rest of the gang while they are roving along with her. As a disciplinarian, she is able to get more and better results out of Van than Maria for the simple reason that she is not his older sister. She treats him like the kid he is and tells him off when he deserves it – sometimes with a punch, if she feels he has earned one. At the same time, Van’s goodness keeps Moonbay honest and makes her strive to be better, even if she won’t necessarily admit that out loud. 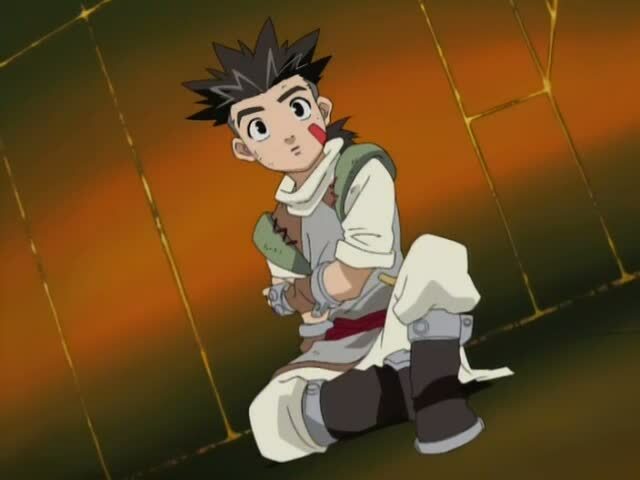 Zeke remains Van’s best friend and fellow combatant throughout the series. The two are devoted to each other, almost like twin brothers (as opposed to the older brother/younger brother relationship Van and Irvine share). Much like Van, Zeke seems to be possessed of an inherent gentleness and goodness. Where others might have beaten this out of him, Van’s natural kindness enhances Zeke’s and keeps him innocent. Finally, we come to the relationship Van has with Fiona Elisi (Alicia?) Linnet, the Ancient Zoidian girl he finds in the same ruins where Zeke is hidden. When Fiona is released from her stasis pod, she initially has no memory of who she is or where she came from. 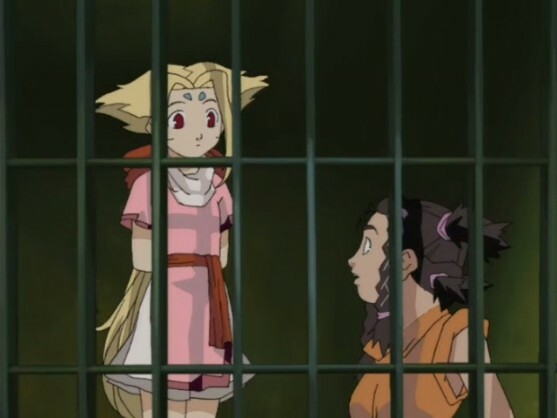 She cannot remember her real name (Elisi Linnet), only the name “Fiona.” Despite being irritated by her constant questions in the first two episodes, Van immediately works to help Fiona, taking her to his village so she can be safe. While they start out as friends, over the course of the show the two obviously fall in love. Though we only see them kiss once (when Fiona has to talk to Van via a psychic image and/or hologram), the rapport between the two is not that of a brother and sister or of two friends traveling together. It is most definitely romantic, and in the best kind of way. 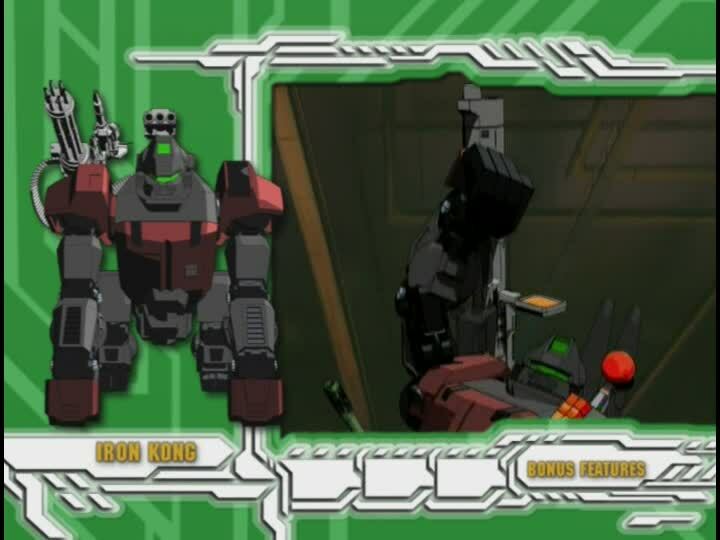 This is made blatantly clear in episodes such as “A Voice from Afar” and “New Liger,” where Van can hear Fiona’s voice in his mind. The two early on show signs of developing a romantic bond, which seems to be the basis for the psychic tie that arises between them. But the relationship which has the most profound impact on Van’s character is one we never see. This is his bond with his father, Major Dan Flyheight. 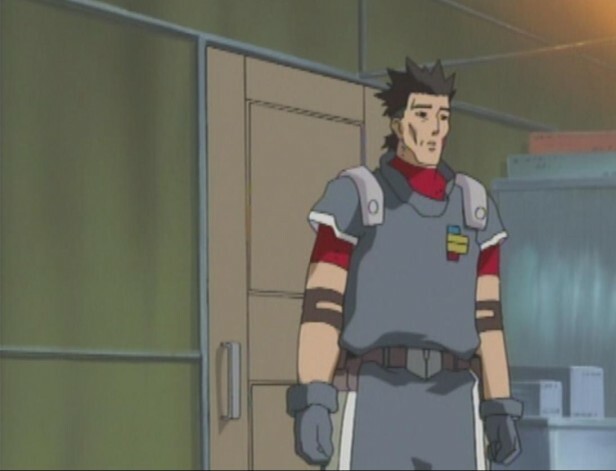 Though we never watch them interact on screen, Van’s dedication to becoming “the greatest zoid pilot ever” is due entirely to his admiration of, and his love for, his deceased father. 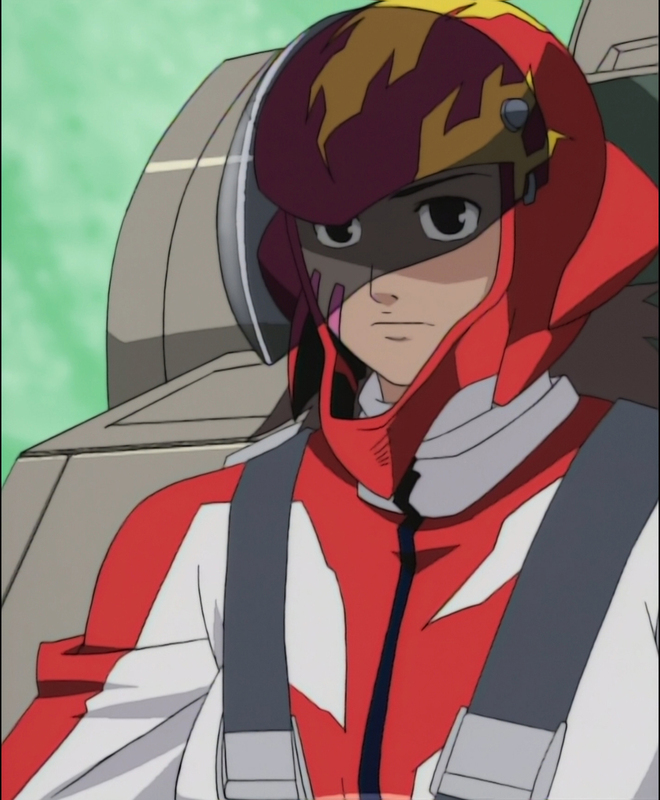 We only see Dan Flyheight once in a flashback in the episode “The Distant Stars.” However, that brief glimpse shows us where Van gets not only his piloting skills, but also his kindness, gentleness, and strong sense of right and wrong. Dan’s last words – his last thoughts – are for the two children he will leave behind, showing that the strength of Van’s love for his family and friends was learned at his father’s knee. He even names his best friend Zeke after his father’s zoid. In a world where the power of the father is laughed off and derided as unnecessary, Van proves the exact opposite with his fond remembrance of the father he lost too early. The plot for Zoids: Chaotic Century is the joys and travails not only of a boy becoming a man, but of a page becoming a knight. Van is needed now more than ever for viewers, boys and girls both. Girls will learn what really makes a man by watching this series, while at the same time boys learn the virtues which will be their guides and friends throughout their lives. 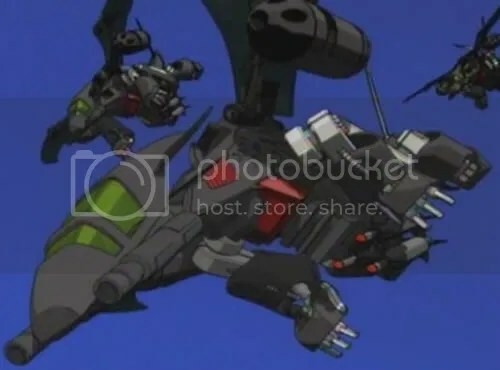 If, as is possible, someone intends to make a film (or a series of them) about Zoids: Chaotic Century, they HAVE to get Van Flyheight right. If they do not do that, then the movie(s) they make will be worthless, or very close to it. Along with Captain America, Aragorn, Optimus Prime, and Sir Galahad, the one character in the universe who you CANNOT mess with is Van Flyheight, readers. But you do not need to take my word for it; just visit the posts I have about the show to see what will be lost if Van is not brought to life properly. 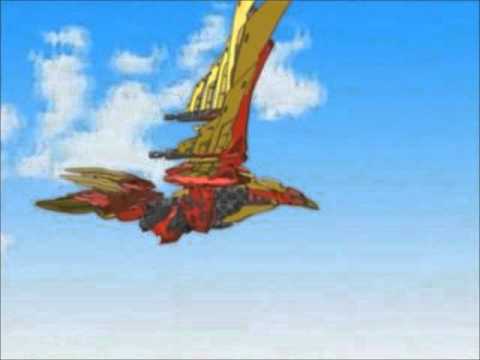 Or, better yet, hunt down Zoids: Chaotic Century’s eleven DVDs on www.amazon.com and watch the show yourselves. If you hate it, I will be surprised. If you love it – welcome to Zi, readers! We’re happy to have you on the battlefield! This entry was posted in Spotlight!, TV Shows and tagged Blade Liger, Favorite Zoids, Fiona, Hasbro, Irvine, Japan, Japanese Anime, Japanese cartoons, Japanese TV Series, Japanese TV Shows, Moonbay, Shield Liger, Spotlight!, The Blade Liger, The Shield Liger, TV series, TV Shows, Van Flyheight, Zeke, Zoids, Zoids: Chaotic Century, Zoids: Fuzors, Zoids: Genesis, Zoids: New Century Zero on March 9, 2018 by The Mithril Guardian. 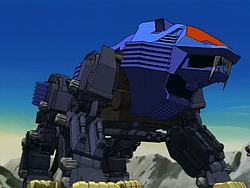 If you like these pictures, feel free to look up my other posts on my favorite series, Zoids: Chaotic Century, which is discussed at length here. 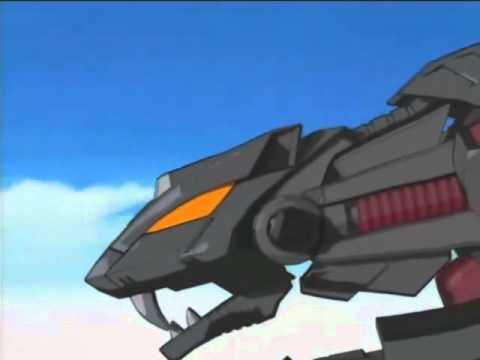 This entry was posted in TV Shows and tagged Black Redlers, Blade Liger, Favorite Zoids, Genosaurer, Gustav, Japan, Japanese Anime, Japanese cartoons, Liger Zero, Liger Zero Falcon, Liger Zero Jaeger, Liger Zero Panzer, Liger Zero Phoenix, Liger Zero Schneider, Lightning Saix, Redler, Shadow Fox, Takara Tomy, The Blade Liger, The Genosaurer, The Lightning Saix, The Redler, The Shadow Fox, The Shield Liger, The Zaber Fang, TV Shows, Zaber Fang, Zoids, Zoids: Chaotic Century, Zoids: Field of Rebellion, Zoids: Fuzors, Zoids: Genesis, Zoids: New Century Zero on February 6, 2018 by The Mithril Guardian. Here’s Spotlight! Once again, readers, I take you back to a planet “in the far reaches of the Milky Way.” That planet is Zi. The focus of this post is one of the living “mechanical combat units” that dwells there – The Blade Liger! 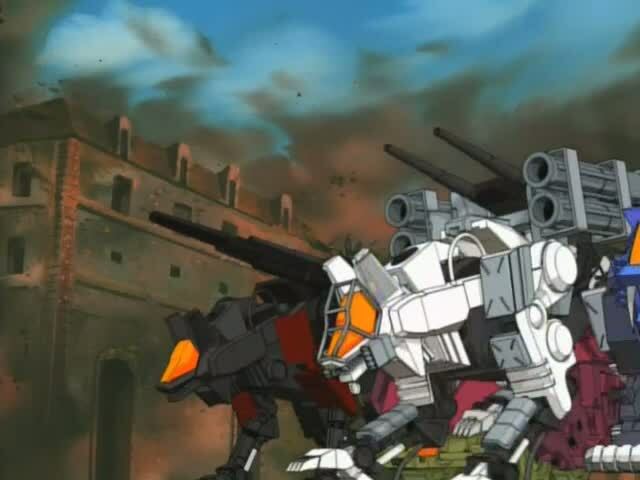 There is only one zoids series that truly gives the Blade Liger the attention it deserves, Zoids: Chaotic Century. 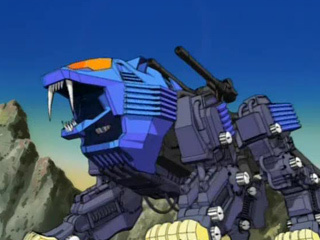 The other zoids series – Zoids: New Century Zero, Zoids: Fuzors, and Zoids: Genesis – barely give the Blade Liger the time of day. 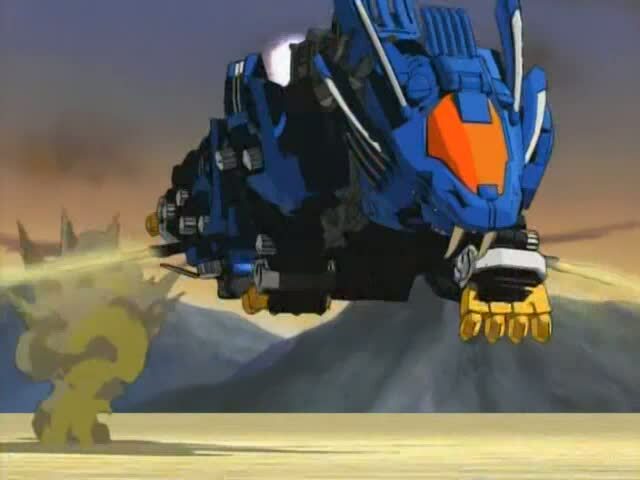 This is because the heroes of these other zoids television shows pilot newer, more powerful Ligers. 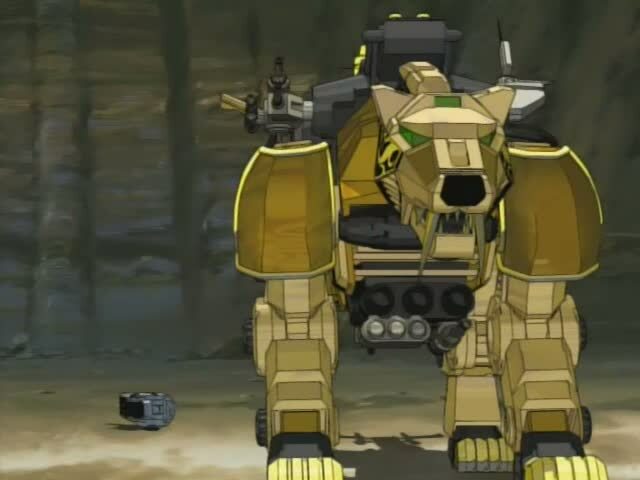 I think that that is somewhat unfortunate; though I love the Shield Liger, I also love the Blade Liger, and I hate to see it get so little attention in these later stories. This leads us back to the topic of today’s post. What is a Blade Liger? A Blade Liger is the next step in the evolution of the Shield Liger. When a particular zoid and its pilot work together for a long time, they tend to develop a bond, kind of like a cowboy and his horse. Also, pilots whose skill grows with each battle get stronger and more powerful. 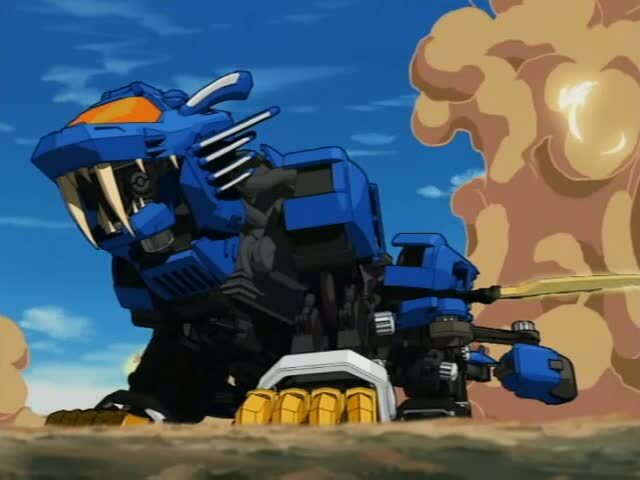 The zoid typically keeps up with the pilot’s skill level – until it cannot go any farther. 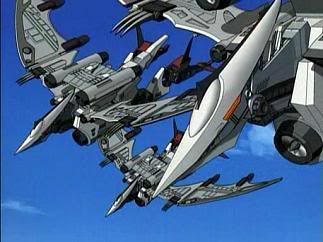 For some pilots, this means they have to get another zoid. Their old partner just cannot keep up with them anymore, and if they want to keep fighting and increasing their skill, potential, and fighting prowess, they need to stay alive. 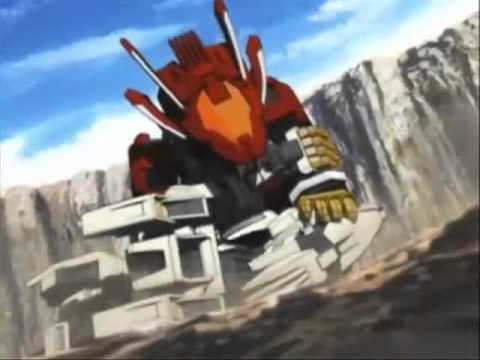 Piloting a zoid that cannot keep up with you is a good way to get yourself killed. 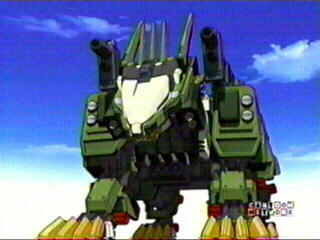 However, in some cases, zoids can evolve to meet their pilot’s new skills. Usually, this is best achieved by an outside force, typically an Organoid. (I will be discussing these in the next Spotlight! post, so stay tuned!) 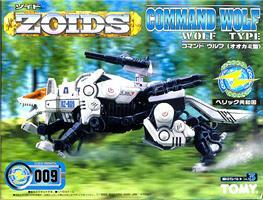 The Organoid enhances a zoid’s and its pilot’s power. 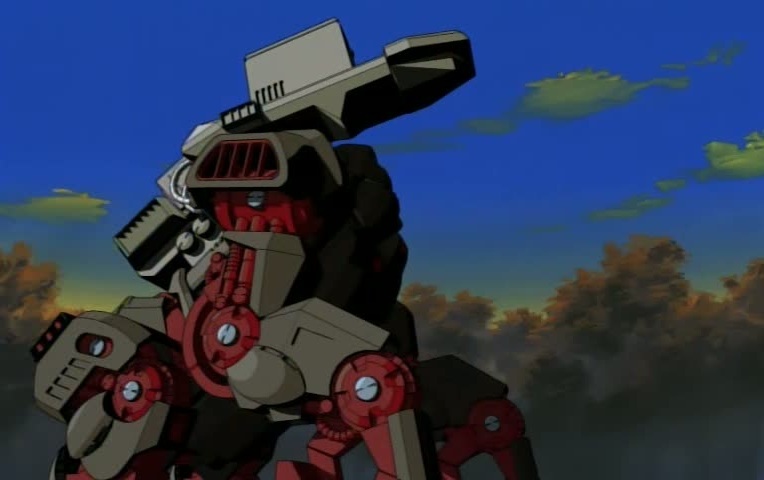 This helps both zoid and pilot to grow and achieve their “full potential.” A zoid could, conceivably, evolve on its own. But that would take time or special circumstances. Organoids speed up the process so that it takes a minimum of a few days, or a maximum of a month (give or take). The Blade Liger is lion-type, just like the Shield Liger. But it is bigger, faster, and stronger than the Shield Liger. 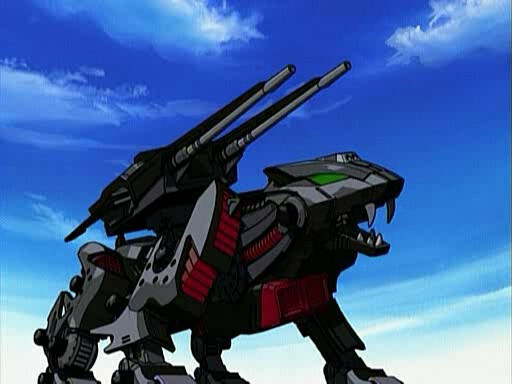 With larger paws, longer canines, and boosters to speed it on its way, the Blade Liger is an ideal close-combat zoid. The Blade Liger shares two features with the Shield Liger. One is its energy shield. 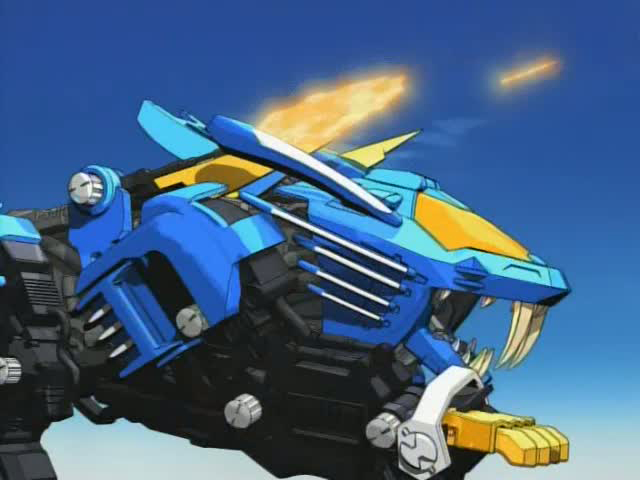 As with the Shield Liger, the Blade Liger can extend fins in its “mane.” These fins, in conjunction with the shield generator, put up an energy shield that protects the front half of the zoid. 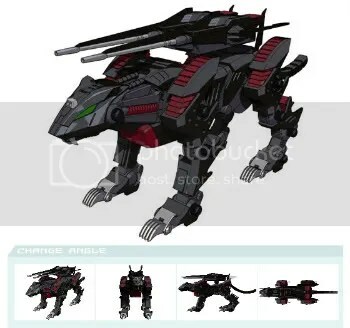 This shield, unlike the Shield Liger’s, can be made stronger. Despite this, the Blade Liger’s shield can be pierced. It just takes more work to pierce a Blade Liger’s shield than it would to break through a Shield Liger’s shield. The second feature the Blade Liger shares with the Shield Liger is that it has a cannon between its forelegs, on its chest. 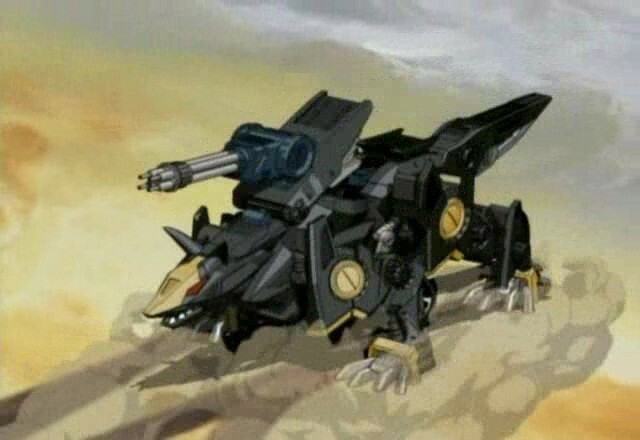 But this cannon has two barrels and it fires rounds with a higher yield than the Shield Liger’s triple barrel cannon. The Blade Liger’s speed is spectacularly high. 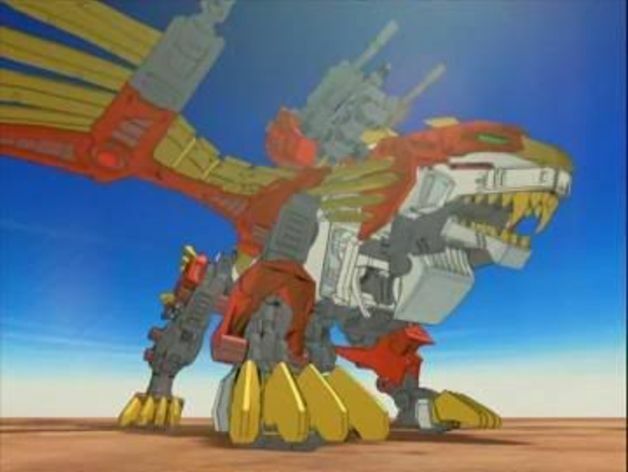 It can outrun most land and air zoids. 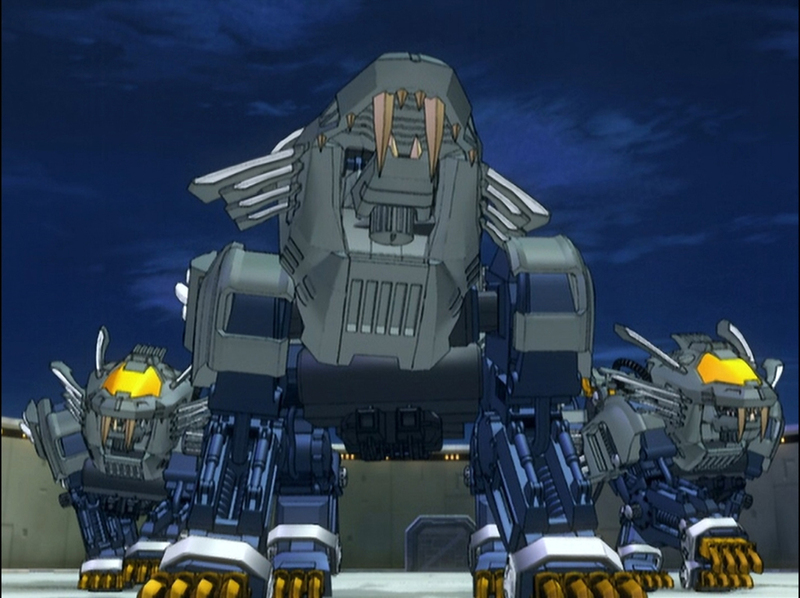 With a very few modifications, it can also keep pace with the two or three of the fastest zoids known to Zi. 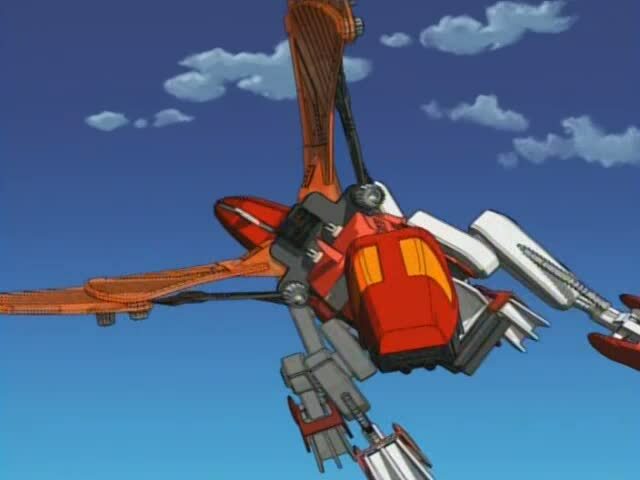 And the blades, when lowered and pointed forward, can be used to strengthen the Blade Liger’s energy shield. The energy used to charge the blades, combined with the power of an active shield, meshes both energies together. This strengthens the shield and, apparently, the blades as well. Also, laser rifles can be attached to the backs of the blades. 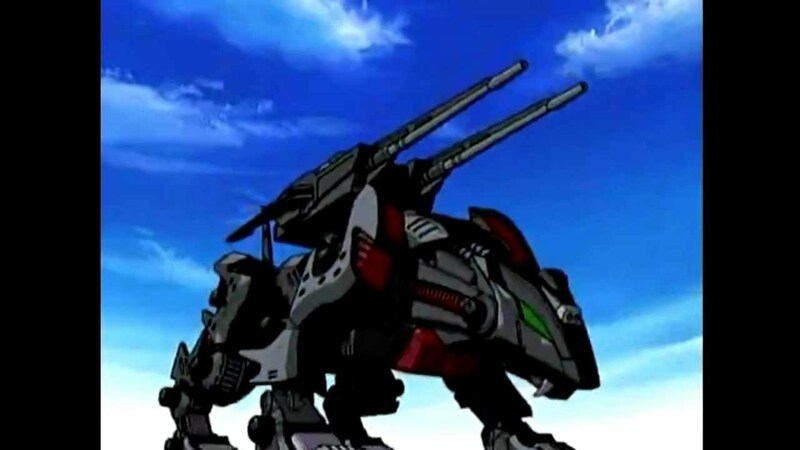 Raised and aimed over the Liger’s head, or “fired from the hip” when the blades are folded forward against the Liger’s sides, the lasers on these blades can be accurately fired at an opposing zoid. 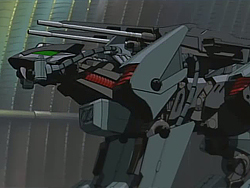 On a lightly armored zoid, these laser shots are dangerous and will cause serious damage. 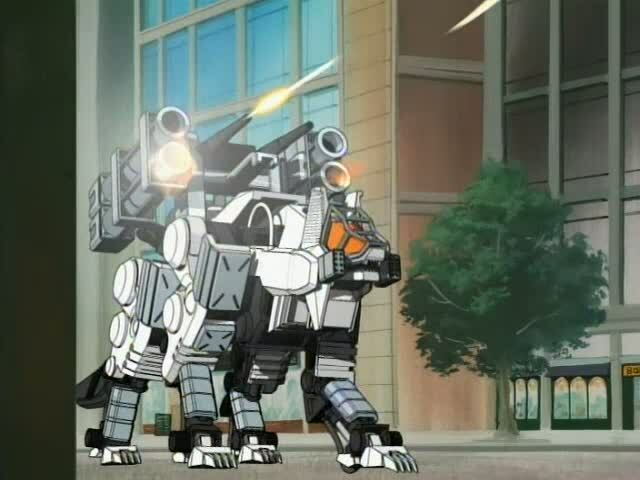 Zoids with heavier armor can shrug off the shots, but they better hope the Liger does not keep shooting at the exact same spot. 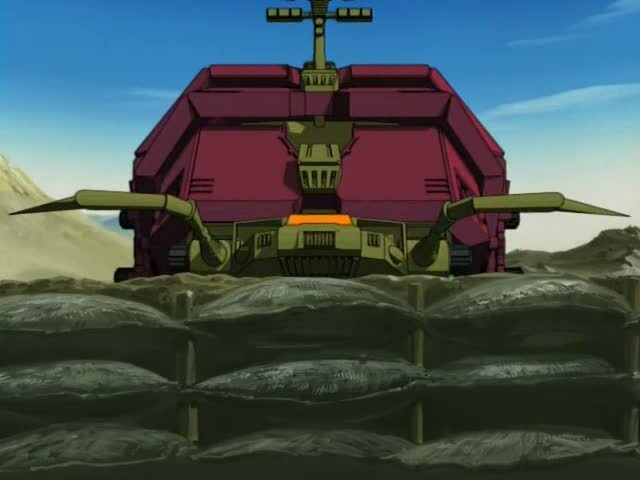 The laser shots are very effective in any battle; they simply take more time to cut through thicker armor than through the “skin” of lighter zoids. Finally, there are the Blade Liger’s teeth and claws. 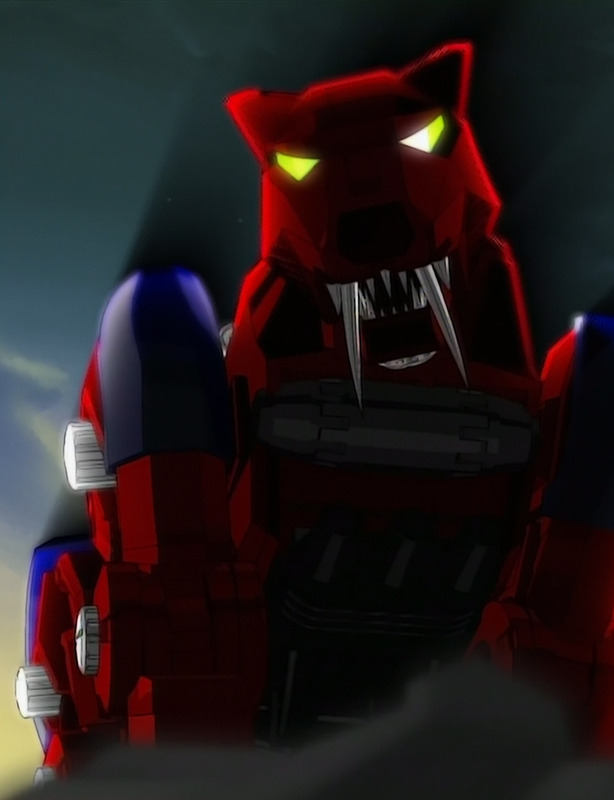 Those teeth are as deadly as they look, and the claws can at the least scratch the armor on the heavier combat zoids. 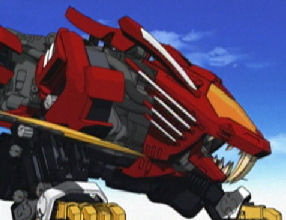 Lighter armored zoids do not stand a chance against a Blade Liger’s claws. 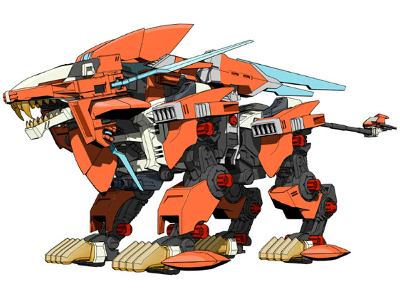 All in all, the Blade Liger is a beautiful zoid. 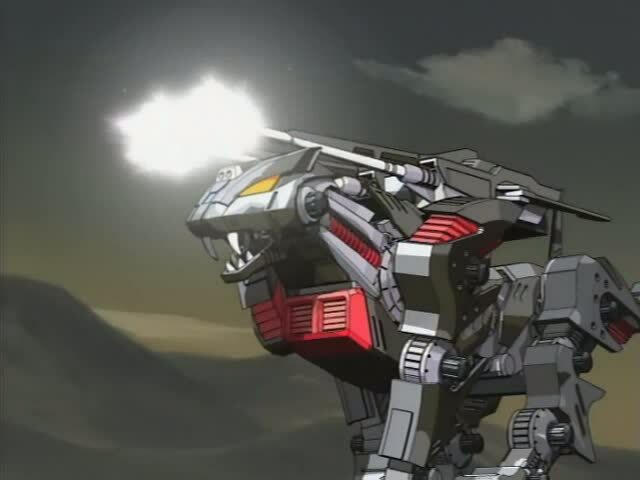 Specially adapted for close-combat fighting, with blinding speed and agility, the Blade Liger is one of the best zoids around. Anyone can pilot a Blade Liger. 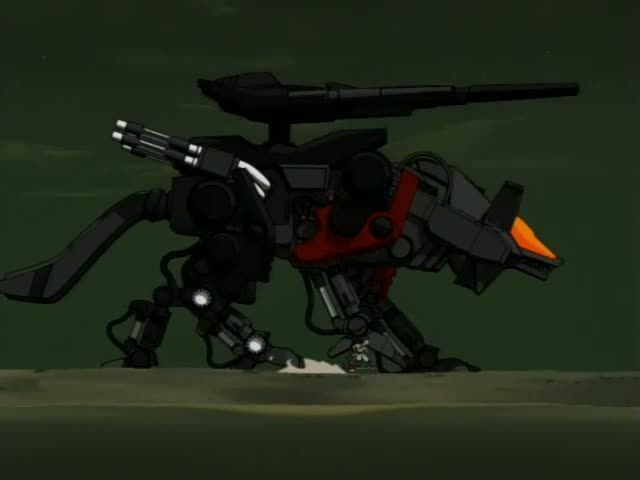 But it takes a champion to bring out the zoid’s full potential. And in Chaotic Century, that is just what we get! This entry was posted in Spotlight! and tagged Blade Liger, Japanese Anime, Japanese cartoons, ligers, lions, Organoid, Rio, Shield Liger, Spotlight!, The Blade Liger, The Milky Way, tigers, Zoids, Zoids: Chaotic Century, Zoids: Fuzors, Zoids: Genesis, Zoids: New Century Zero on November 20, 2015 by The Mithril Guardian.